When Burlington's Sleeping In premiered their self-titled EP on Boston-based music blog Allston Pudding, writer Tim Gagnon posited that the band could be perceived as "a couple of Vermont guys that showed up a bit late to the endlessly moping shoegaze revival." However, in light of a new crop of listeners being introduced to no wave and post-punk by Kim Gordon's popular memoir chronicling Sonic Youth, not to mention noisy bands like Speedy Ortiz getting press in Rolling Stone, one could argue that Sleeping In are arriving right on time. 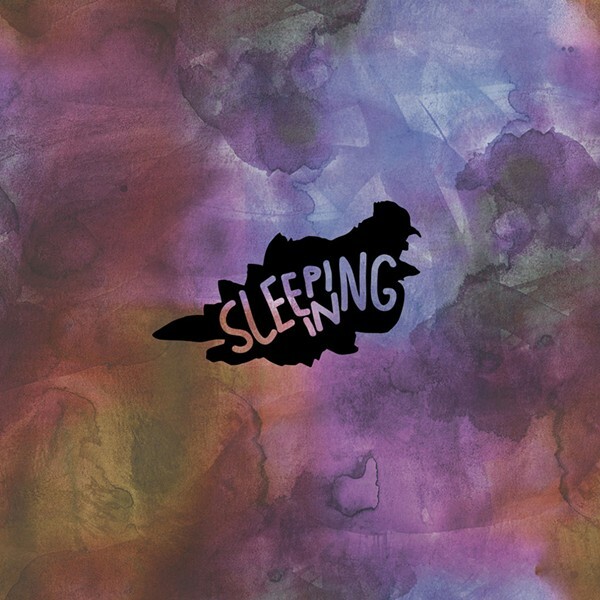 Sleeping In are a relatively new band, formed in summer 2014. But they are already crafting their identity. While buried vocals make lyrical themes tough to suss out, the band exudes an overall bummer attitude. Some of the only discernible lyrics on the album are in the song "Worn," in which the phrase "You wear me out / You wear me down" is sung with telling repetition, conveying a sense of exhaustion. The band proliferates this image online, posting comments that encourage folks to make their playlists "sleepier," and whining on their Bandcamp bio, "We want naps." The band cites vintage shoegazers HUM as an influence, and is dead-on with the layered guitars played by JT Day, Mason Dixon and Adam Wolinsky. Like fellow three-plus guitar band Diarrhea Planet, Sleeping In have found varying and balanced tones that help them avoid cacophony. Recorded with Burlington producer Zach Crawford of SkySplitterInk Productions, the four-song EP is more about an overall sound than about specifics. From the first song, "Big Starr," and across the album, guitar soloing is aimed at serving the melody and mood more than showing off individual chops. Lyrics are barely audible, but they probably aren't they point anyway. The whole sound is greater than the sum of its parts. The dirge-y "Worn" lulls listeners with a hypnotizing flanging effect, then rings the alarm with a series of tight hits that could be building to a heavy jam but instead cuts the song unexpectedly, and enticingly, short. In "Sink in Yr Skin," the group stays consistent with more fuzz and far-away vocals, but flirts with a pop-rock melody. And the final track, "Wouldn't Mind," is a heavy hitter led by drummer Jordan Sticker and backed by Lorna Dielentheis' steady bass playing. Maybe arriving late to the shoegaze throwback party is part of the sleepy, slacker vibe of Sleeping In, and maybe the brevity of this release is, too — as soon as you get a good stare going, the music is over. But if the self-proclaimed "sleepy boys" have mastered one thing, it's the art of quitting while they're ahead and leaving listeners wanting more. Sleeping In perform at oak45 in Winooski on Saturday, May 2, as part of Waking Windows 5. The band's self-titled EP is available for digital download on iTunes and sssleepingin.bandcamp.com.